One week after his sister-in-law's death, David Spade has donated $100,000 to help those afflicted with mental illness. Add Kate Spade as an interest to stay up to date on the latest Kate Spade news, video, and analysis from ABC News. Spade didn't announce this on social media or make a big fuss; People magazine confirmed the news late Wednesday via his representative. The donation will support the National Alliance on Mental Illness and Spade tells the magazine that, "More people suffer from mental health issues than we may realize but no one should ever feel ashamed to reach out for support." He added, “If you or anyone you know is in need of help or guidance please contact the national suicide prevention hotline at 800-273-8255 or go to nami.org to learn more and help those who may be in need." Kate Spade, who was married to the comedian's brother andy, took her own life at the age of 55 last week and the "Joe Dirt" star has been vocal about the shock and grief that comes from losing a member of the family so suddenly. Shortly after her death, Spade posted a happy photo to Instagram with the caption, "Fuzzy picture but i love it. Kate and I during Christmas family photos. We had so much fun that day. She was so sharp and quick on her feet. She could make me laugh so hard. I still cant believe it. Its a rough world out there people, try to hang on." And then this past week, Spade went back to work, addressing the loss further during a stand-up routine in Southern California. "Thank you for coming. It was a rough week, but I didn't want to cancel and I appreciate you all coming out here," he told the audience, according to E! News. "And, if my jokes don't work then I get sort of a free pass." 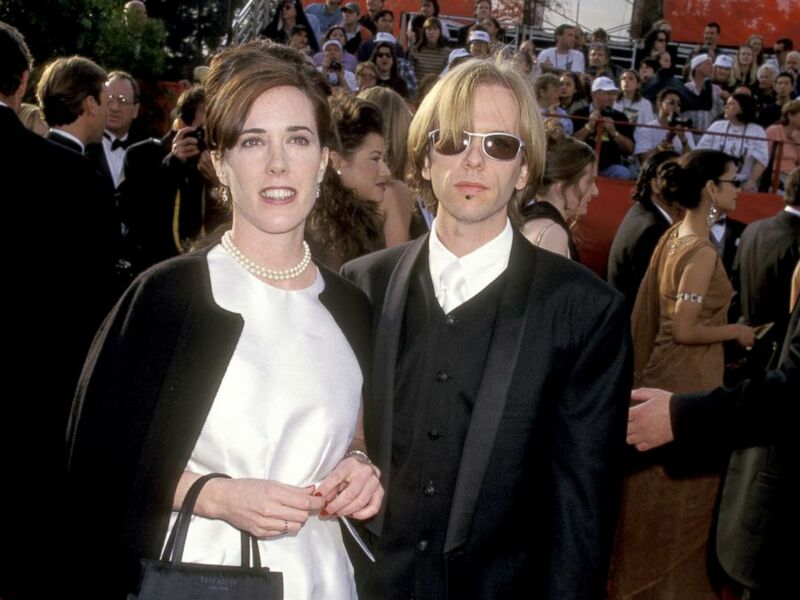 Kate Spade and David Spade attend The 69th Annual Academy Awards in Los Angeles, March 24, 1997. Spade's brother Andy has also spoken out since Kate's death, saying that her suicide was a complete shock to the family. "We were in touch with her the night before and she sounded happy. There was no indication and no warning that she would do this," he told the New York Times. "It was a complete shock. And it clearly wasn’t her. There were personal demons she was battling."